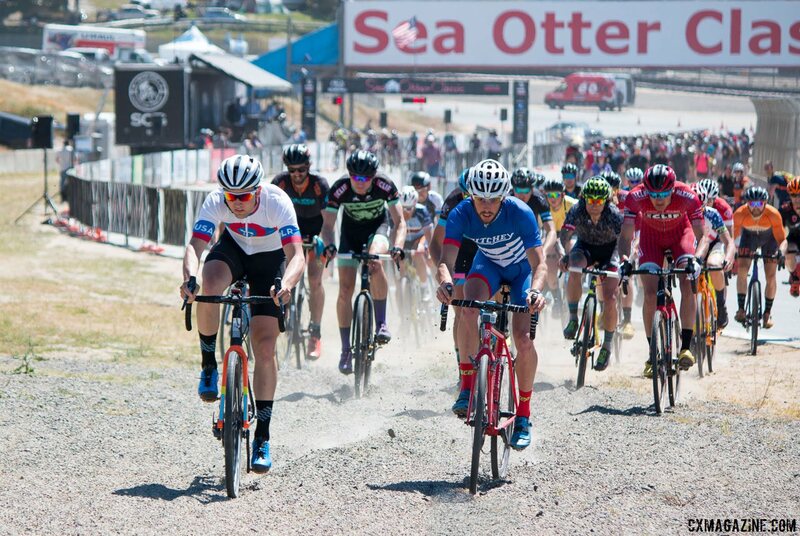 Since 2012, the Sea Otter Classic has hosted a USA Cycling-sanctioned cyclocross race as part of the weekend’s festivities. 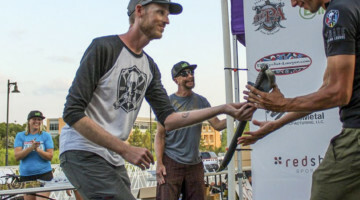 And like last year, Tobin Ortenblad and Caroline Mani took the wins in the shortened Elite races. 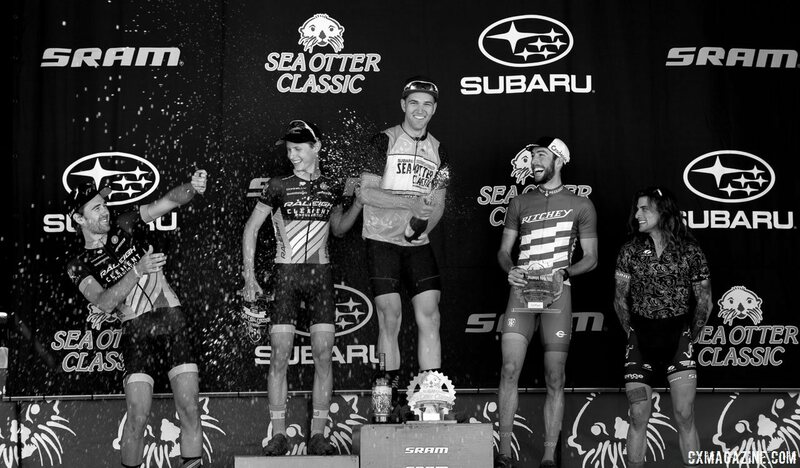 The cyclocross races at Sea Otter are not UCI events, but offer a chance for pros to shake off the cobwebs, kick off their offseason racing and put on a show for sponsors, many of who were exhibiting at the Sea Otter Classic expo. 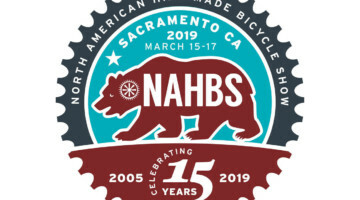 For amateurs, especially in Northern California where USA Cycling cyclocross races are rare, the cyclocross race was a chance to bag some valuable points to help with Nationals call-ups. The race featured both the pro men and women’s field on the course at the same time, with the women starting one minute behind the men. 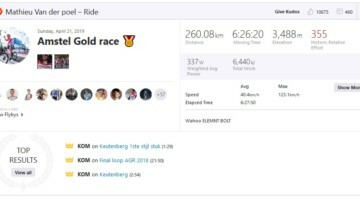 Both races not only shared the same course, but also the same theme of young upstarts challenging more established Elite racers, and crashes potentially impacting the final result. 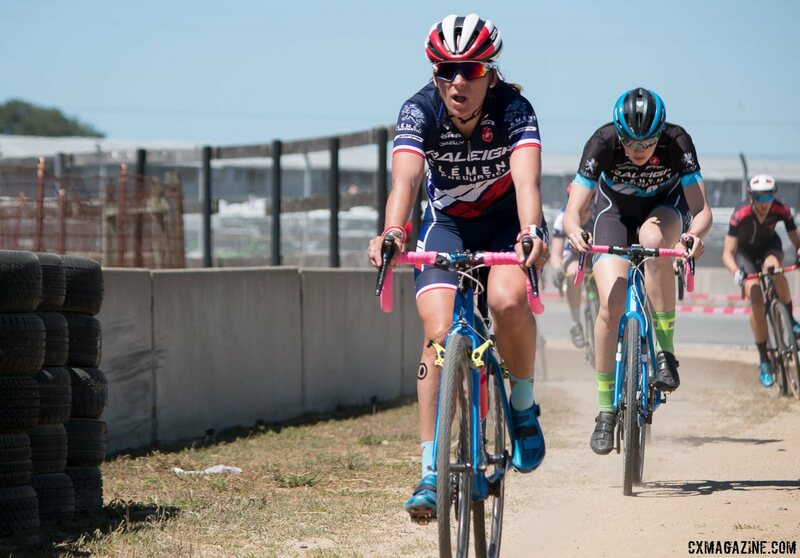 The biggest name toeing the line at Sea Otter was Zolder 2016 Worlds silver medalist Caroline Mani (Raleigh Clement). Mani, coming of her silver medal at the 2016 World Championships and an extended offseason, Mani has big goals for this season (stay tuned for our full interview), but was unsure of her fitness coming into the race. The first lap must have confirmed those doubts, as Junior Women’s 15-16 National Champion Katie Clouse (Alpha Bicycle Company – Vista Subaru) and Mani’s 19-year-old teammate Laurel Rathbun attached themselves to Mani’s wheel before Mani put her power and experience to work to drop the young chasers. Behind, Courtenay McFadden (GE Capital/American Classic) was licking her wounds after going over the bars on the first lap as she entered the gravel section. After losing twenty seconds and remounting her bike at the back of the field, McFadden picked off all of her competition except Mani, and even some of the men. The final winner was never in doubt, however, as Mani stretched out her gap, working her way through the back of the men’s field, and enjoying perhaps her last race on cantilever brakes. The biggest surprise of the race may have been 15-year-old Clouse. 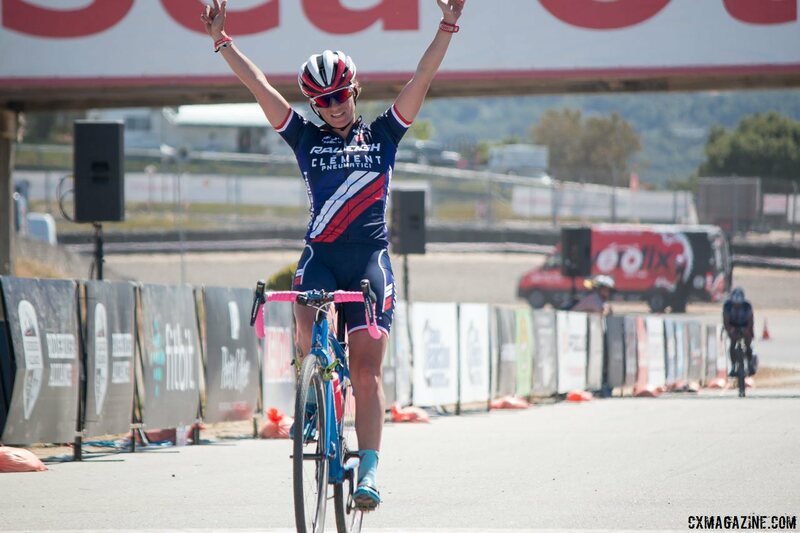 After winning the Cat 3 cyclocross race at the 2015 Sea Otter Classic, this was her first time racing the pro field in Monterey. After a fast start, Clouse faded, but would find her second wind to outkick Rathbun for third. 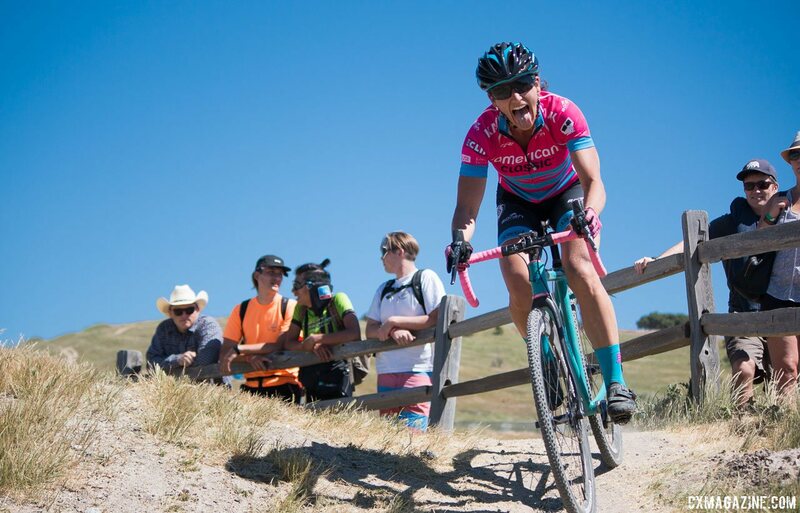 Colorado and Utah cyclocrossers won’t be surprised with her result, however, as she routinely impresses against older competitors at local races. 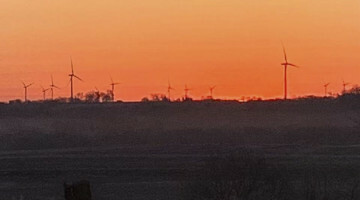 The race was not without controversy however. 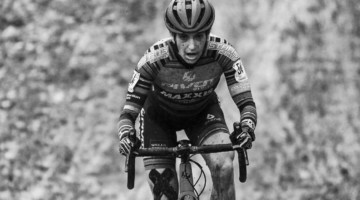 Cassie Maximenko (Van Dessel) was deep into a battle for third behind Mani and McFadden. Racing down the side of the race track, Rathbun was attempting a pass and collided with Maximenko, and Maximenko ended up in the pile of tires on the side of the course. She filed a protest at the end of the race, maintaining there was plenty of room for Rathbun to pass, but officials upheld the finishing order, keeping Rathbun in fourth and Maximenko in fifth. 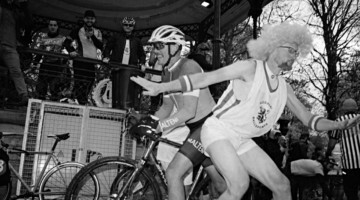 While the women’s race was a forgone conclusion, the men’s race was anything but. 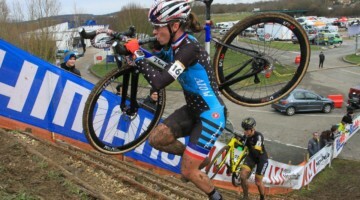 With 26 racers taking the start, the call-ups sounded like a UCI event, with some of the bigger names in cyclocross dusting off their cyclocross bikes for a rare April race. 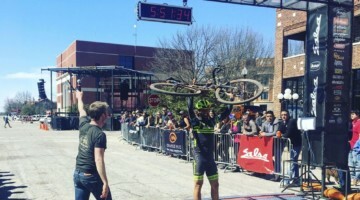 Tobin Ortenblad, the reigning U23 Men’s National Champion, was on hand to defend his 2015 title, with a new jersey, bike and tires. Jamey Driscoll (Raleigh Clement) and teammate Lance Haidet, Anthony Clark (Squid), Carl Decker (Giant) and Craig Richey (Red Truck – Garneau p/b Easton) were all on hand to prevent a Ortenblad repeat, but it was BeyondCX’s Ben Frederick (See our interview with Fredrick in the upcoming Cyclocross Magazine print issue 32) who animated the race and looked to take the title going away. 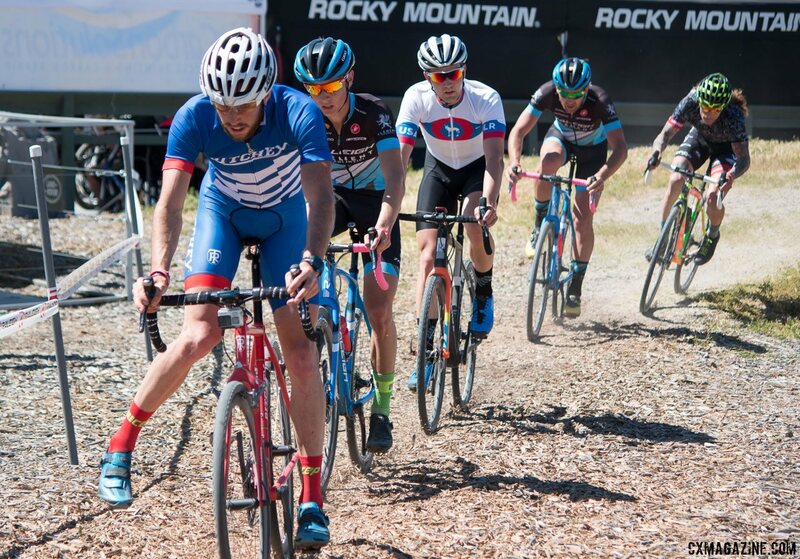 Two laps in, Frederick, riding a cantilever-equipped steel Ritchey Swiss Cross (reviewed in Issue 15), was off the front, forcing Ortenblad, Haidet, Driscoll and Clark to chase. 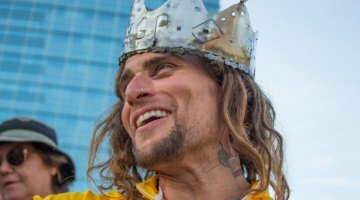 The Virginia-based Frederick looked to be in control, stretching out his gap, but with ten minutes to go, he got caught behind three lapped racers stuck in the sand and came to a halt. That was all the chasing four needed to rejoin. The race for the win was now a five-man affair. Driscoll would take his turn at the front, hoping Raleigh Clement’s numbers might help him or teammate Haidet take the win, but Ortenblad brought him back with a half lap to go. Finally, it was the patient Ortenblad’s turn, and before the paved final race track finish, Ortenblad would surge, opening a gap before the last turn, and holding it to the line with enough time to look back and celebrate. Clark crashed on the last lap, gapping himself and Frederick with Haidet and Ortenblad ahead, but Frederick would chase back and nearly catch the Haidet at the line. Driscoll finished fourth, and Clark fifth. 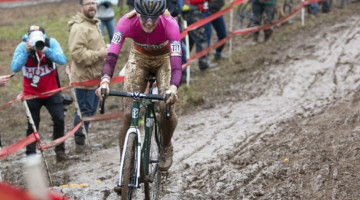 The women’s pro race was originally scheduled to kick-off the cyclocross racing, at 1:30 pm, flipping the schedule from 2015 when the professionals went last. 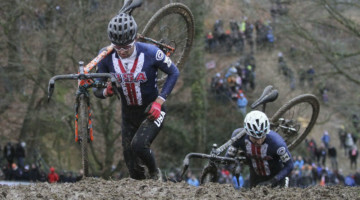 However, because the men’s XC MTB race shared part of the cyclocross course, the women’s cyclocross race was delayed and eventually combined with the men’s race with a staggered start. 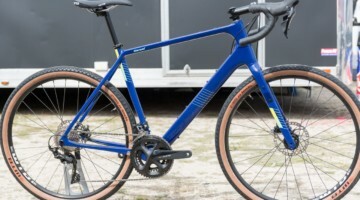 Ortenblad raced a Santa Cruz Stigmata with Zipp Course 30 tubeless wheels and the first set of Clement MXP tubeless clinchers in the US, inflated to 32 psi front and 35 psi rear. 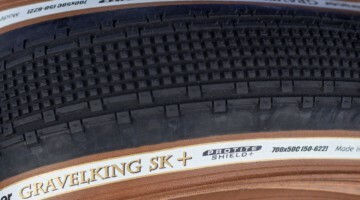 Those pressures sound a bit high, compared to 20-25 psi used by tubular racers at muddy races, but the cyclocross race course was completely dry and hard packed dirt and sand, with a big gravel section, and small rock crossing, and a long stretch of the famous Mazda Speedway Laguna Seca race track. 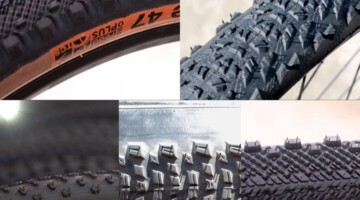 Ortenblad’s win is also further proof that tubeless has narrowed the gap to tubular performance, at least in these conditions, as most of Ortenblad’s competitors were on tubulars. 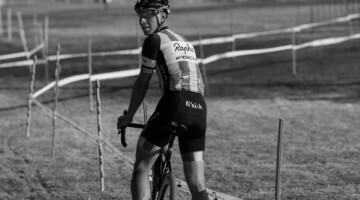 He raced in a Donkey Label jersey that arrived on Friday. Mani raced her Raleigh RXW canti-equipped carbon cyclocross bike from last season, on Clement MXP tubulars at 1.4 BAR (20.3 psi). 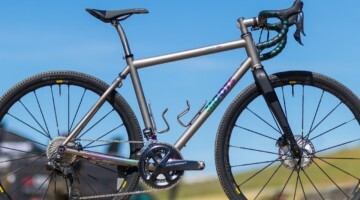 Mani expects to race the newly-updated 50cm Raleigh RXC (Enter to win your own today) with disc brakes this season. 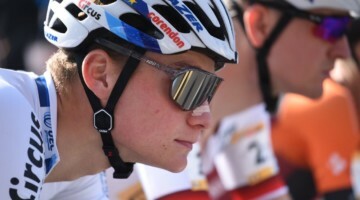 Cassie Maximenko won the Pro Criterium on Thursday. Katie Clouse also won the Cat 3 criterium on Thursday and the Junior XC MTB race on Sunday. 2016 Junior 15-16 National Champion Ben Gomez Villafane raced the event, sporting a National Champion-themed team jersey, and finished 11th. Full results and more photos in the slideshow below. 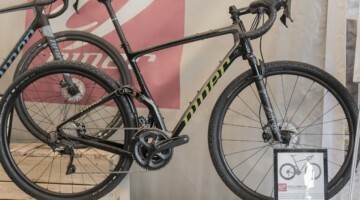 See all of our 2016 Sea Otter Classic coverage of new cyclocross and gravel bikes and gear. 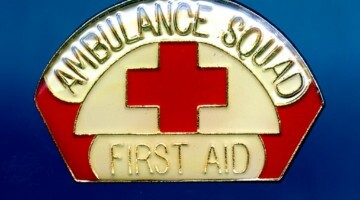 4 232 RATHBUN Laurel Monument CO 30:22.5 s.t. 10 233 SCHAPER Amanda Santa Cruz CA 32:54.7 s.t. What makes it even more impressive is that Katie Clouse is actually only 14 years old, not 15 as the article states.